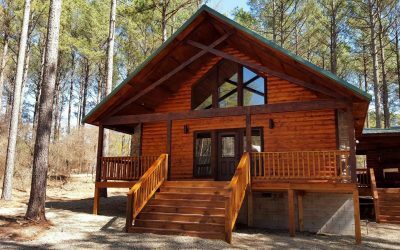 Trail Mix cabin sleeps ten (10) people. 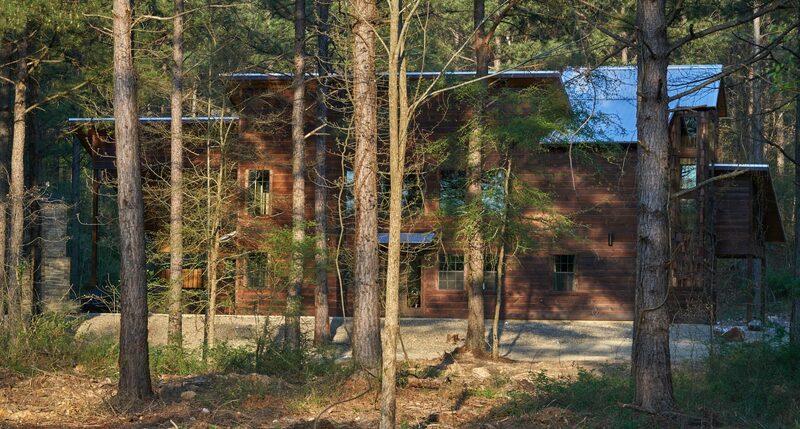 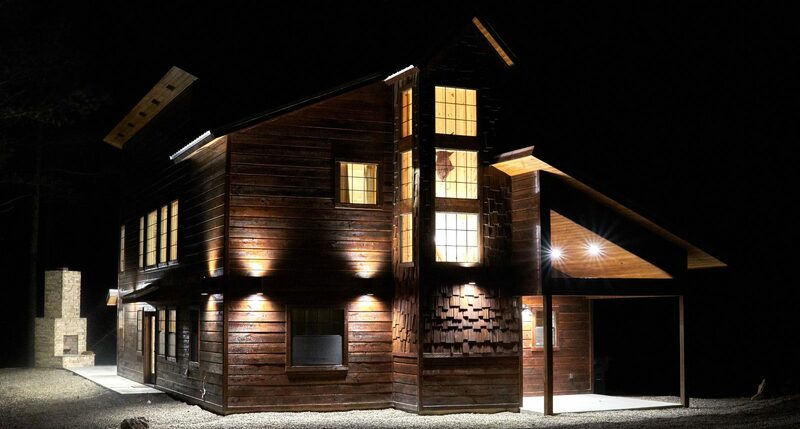 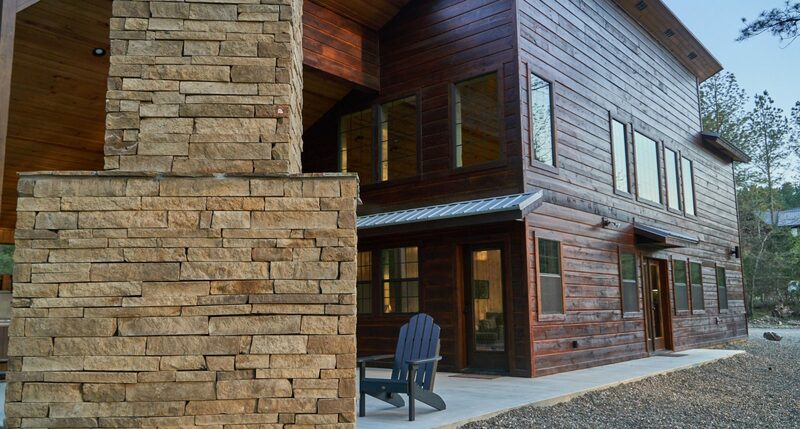 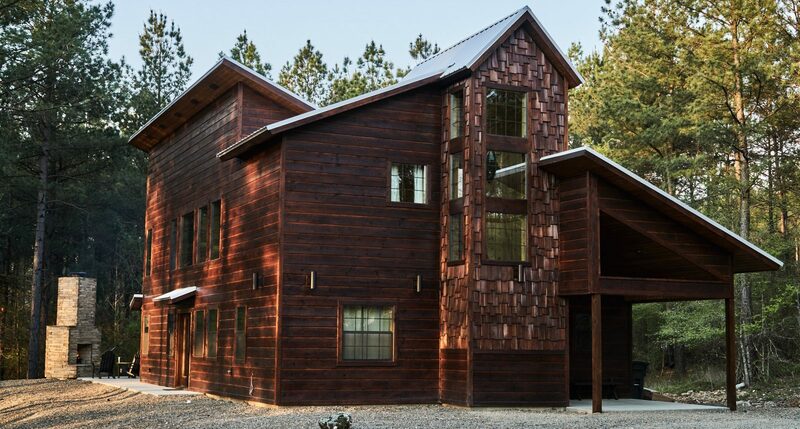 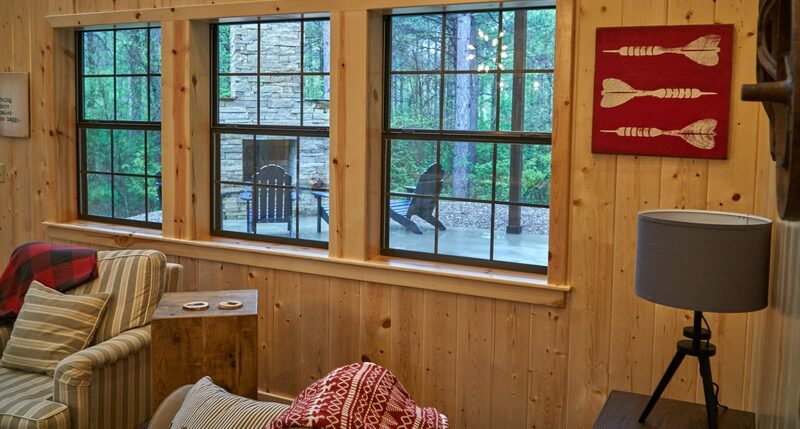 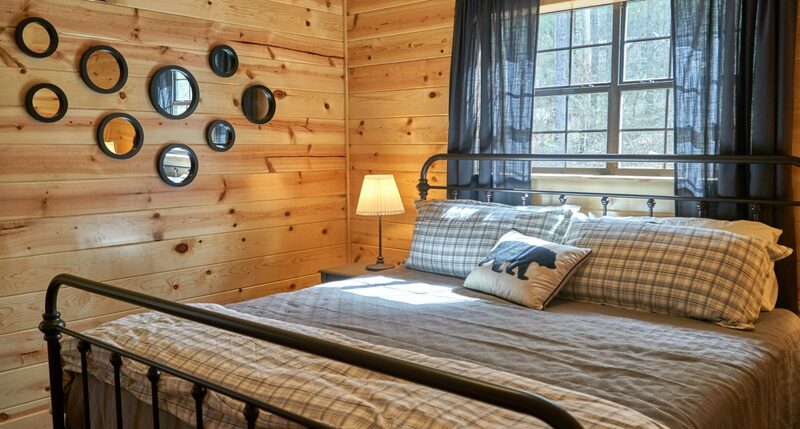 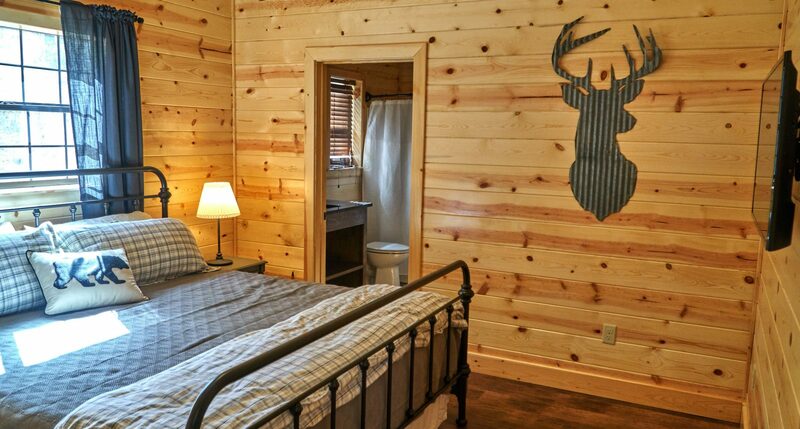 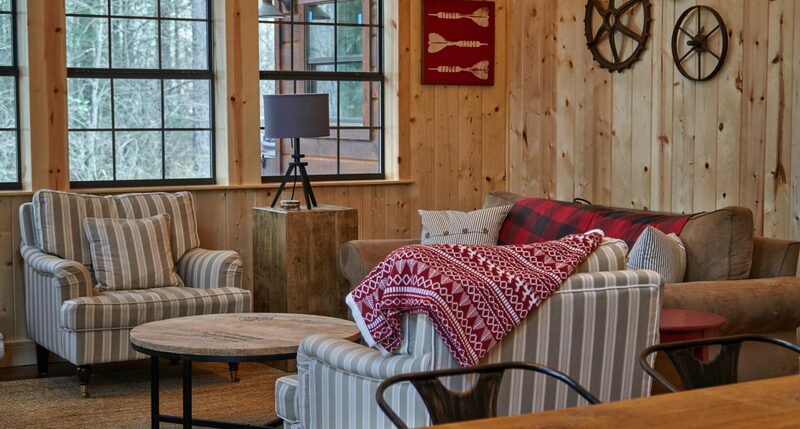 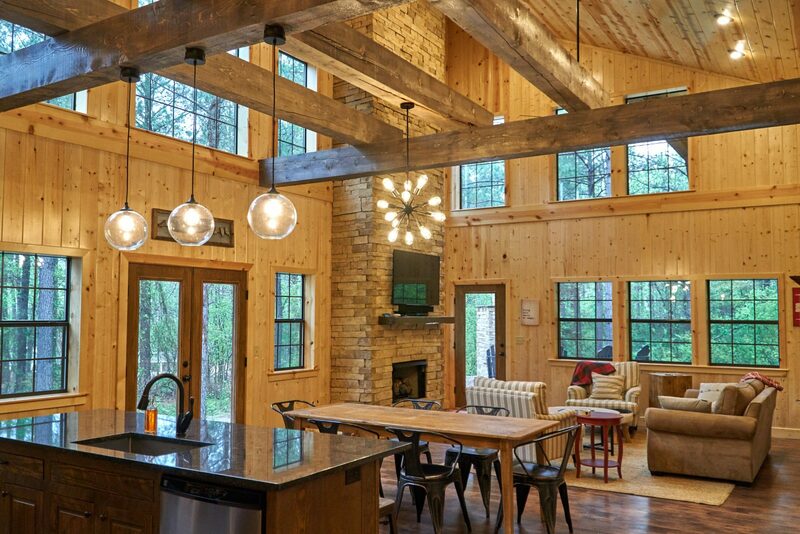 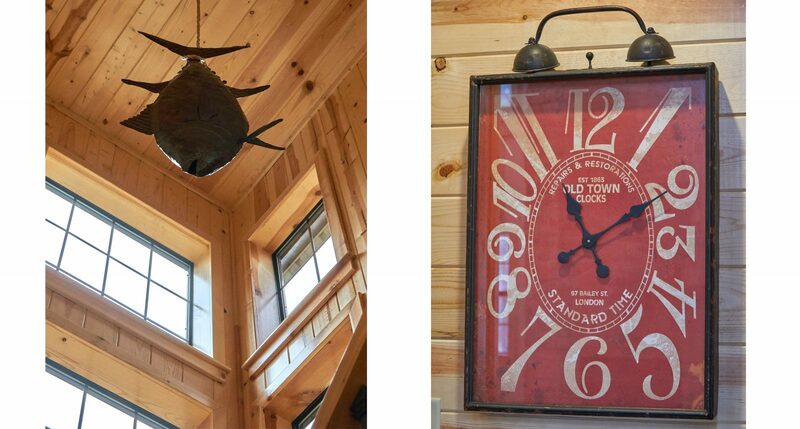 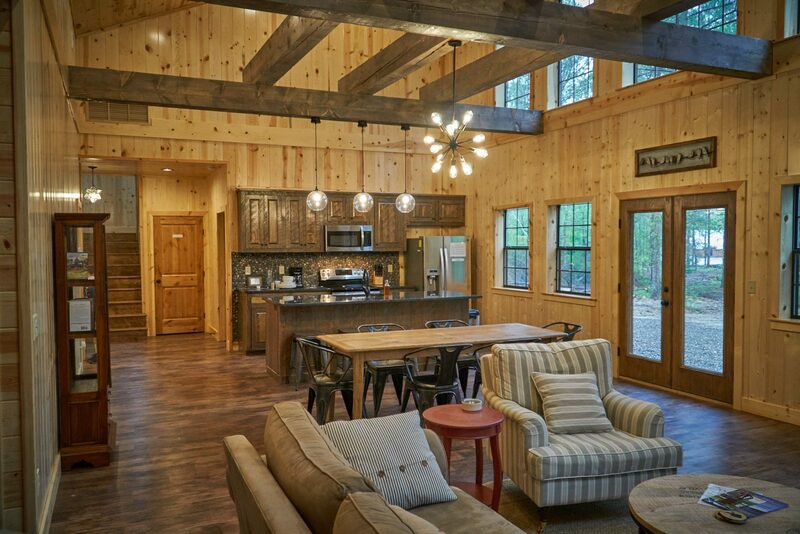 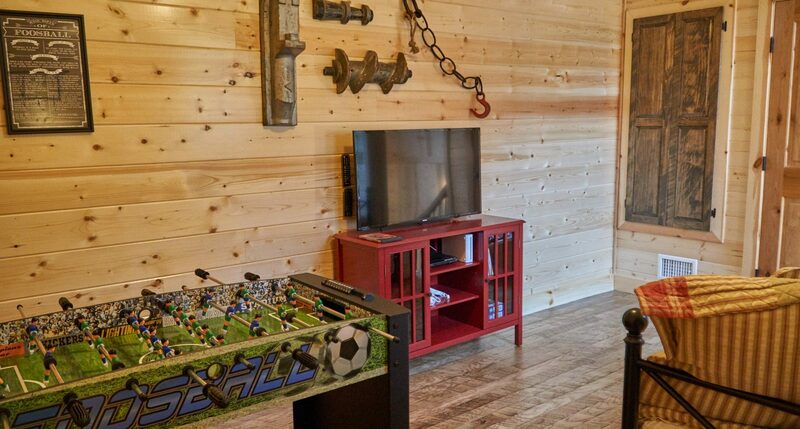 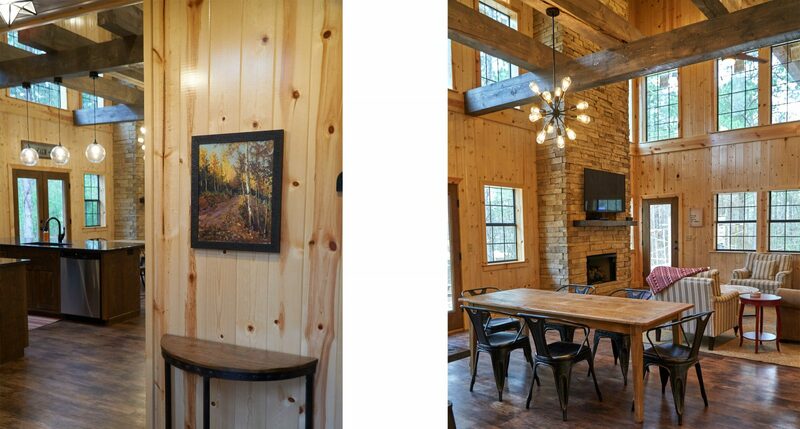 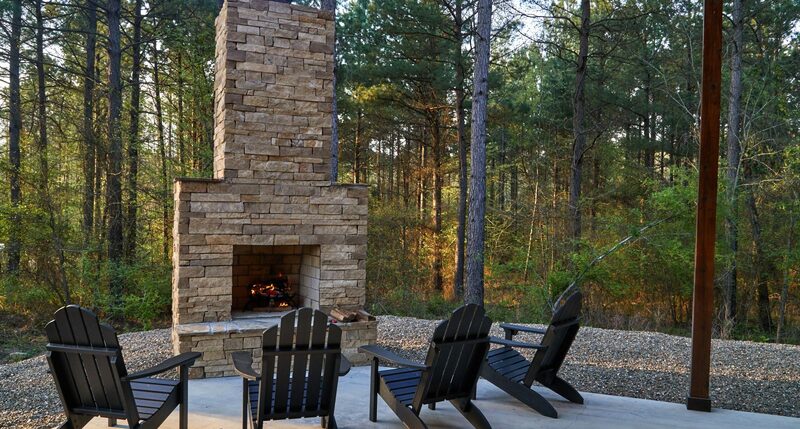 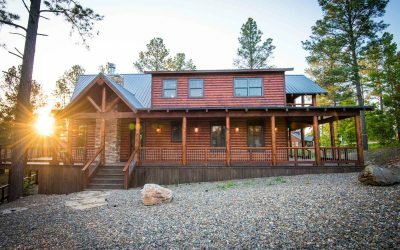 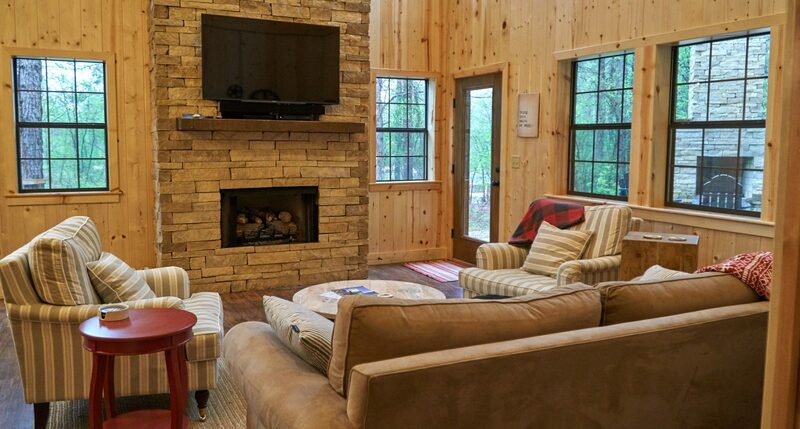 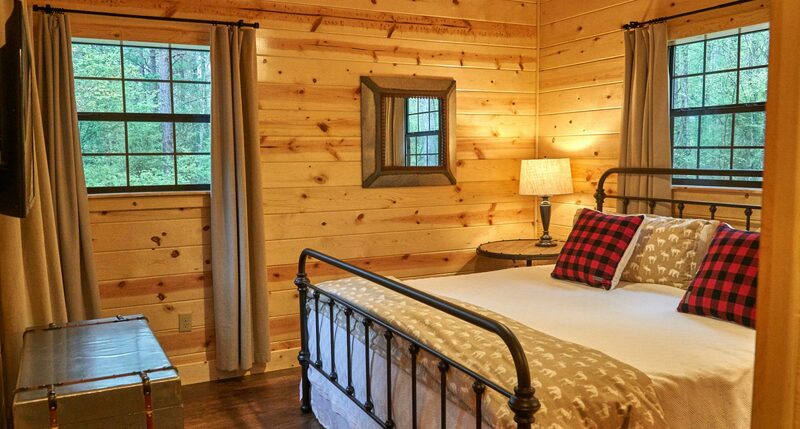 Mix it up in this gem of a retreat that is a unique blend of the traditional cabin and industrial styling. 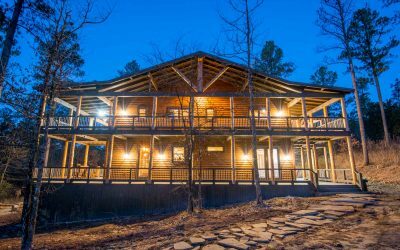 It is ideal for families to share as a restful gathering place with plenty of living space and an acre of land to explore. 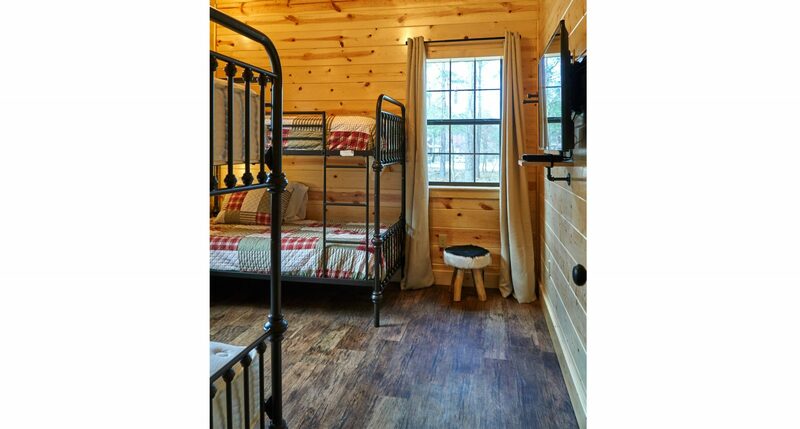 It has two master king bedrooms with ensuite baths, a bunkbed room that will sleep 4, and a fourth bedroom upstairs where there is a daybed w/ trundle. 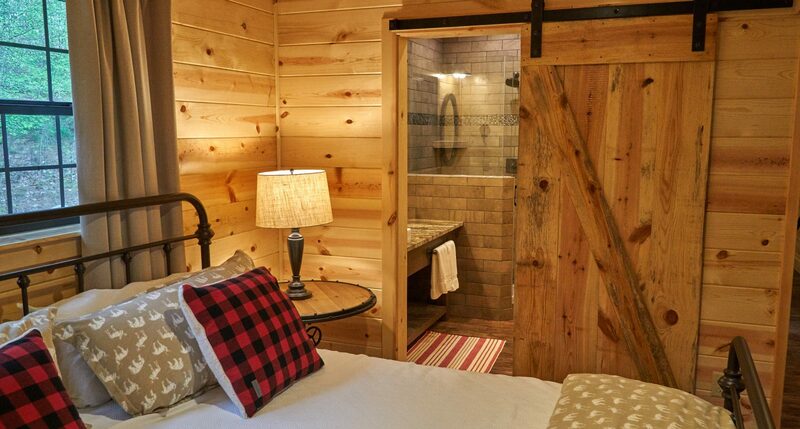 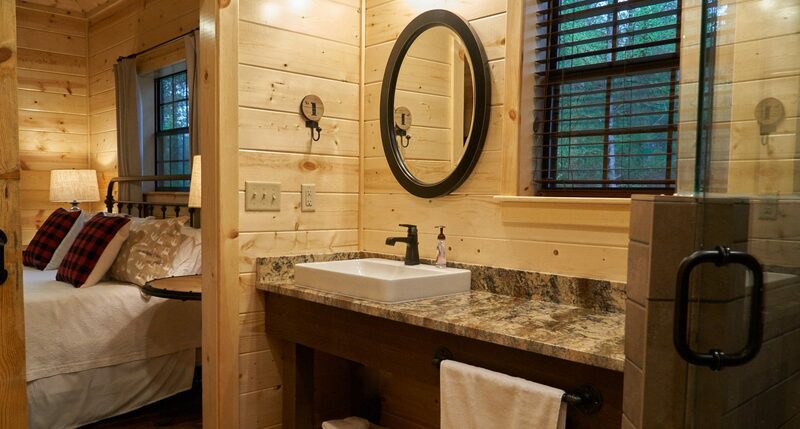 A third bath is located across from the bunk room. 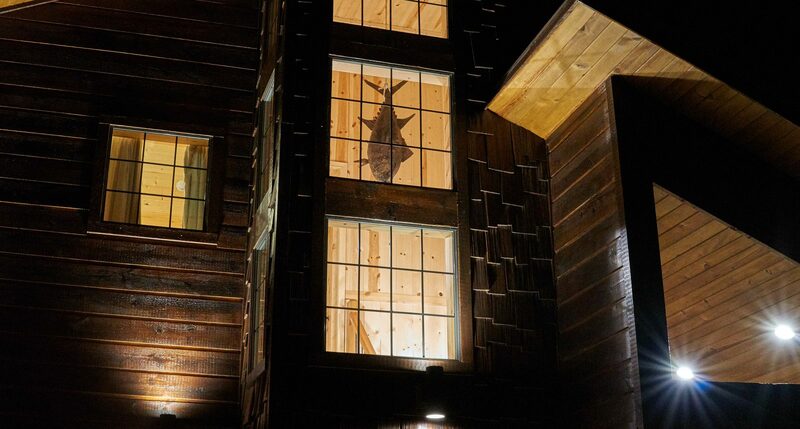 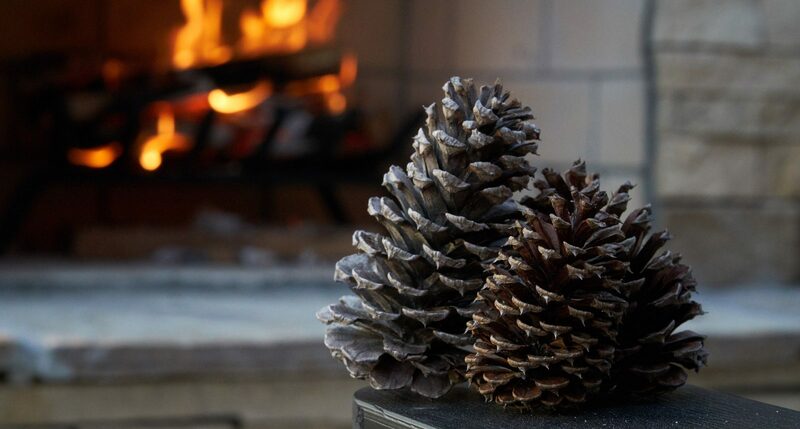 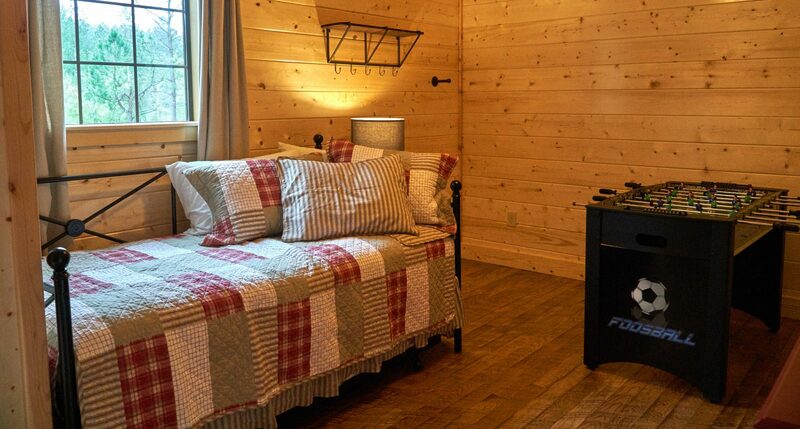 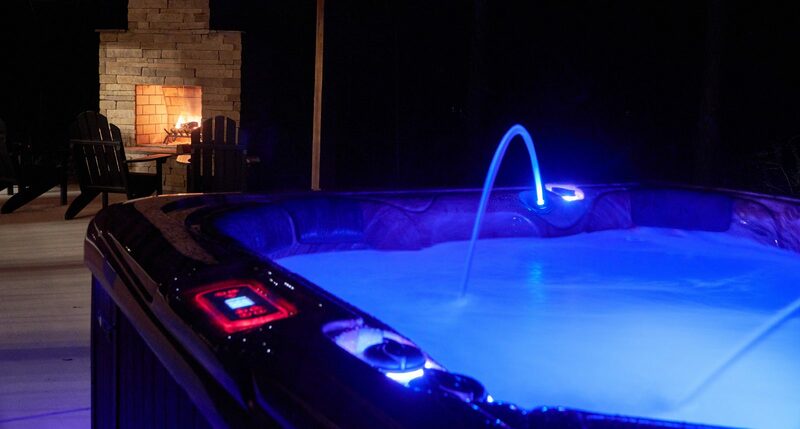 In addition to the upstairs sleeping arrangements, there is a television w/DVD player and foosball table so you can send the kids to play while you relax out back in the large (7 people) hot tub, near a cozy fire crackling in the outdoor wood fireplace while your steaks cook on the charcoal grill. 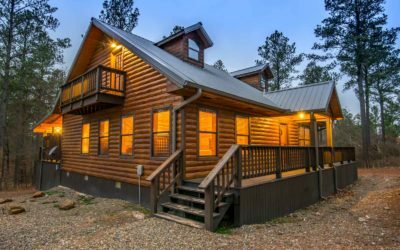 Inside, there is a gas fireplace, granite countertops, WiFi, Bluray DVD, satellite television, washer and dryer, and dishwasher.